OCTOBER ARRIVES AND WITH IT A FULL BLOWN FOOTBALL SEASON! 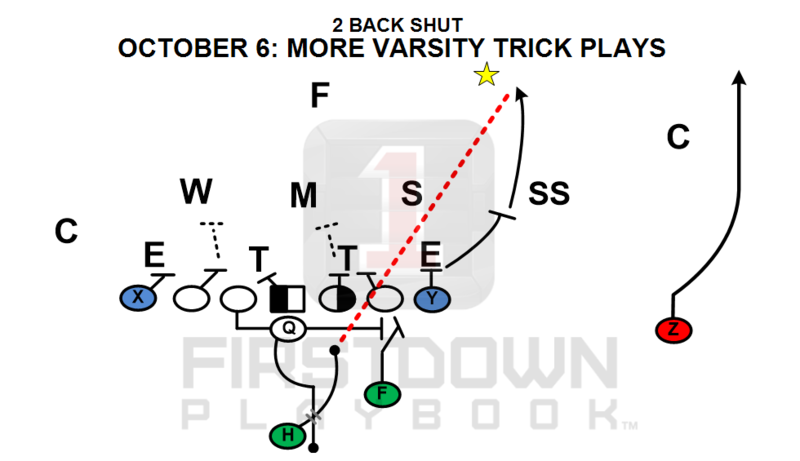 FIRSTDOWN PLAYBOOK KEEPS INSTALLS COMING. ADDITIONS INCLUDE MORE VARSITY PASS PRO AS WELL AS 3X1 PASS GAME INSTALLS. VARSITY COACHES WIN TWITTER POLL AND TRICK PLAYS ARE ON THE WAY. 6V6 & 8V8 FLAG FOOTBALL SECTIONS CONTINUE TO EXPAND AS WELL! It has been football season for awhile now but there is something about October that makes you actually smell it in the air, particularly on a Friday night. Here at FirstDown PlayBook we try to keep the installs relevant for things that might help you this football season but we understand you are in the thick of it right now and some of what we install might not get looked at until 2018. Either way that’s fine. Just know that every week we will install three times and when you get to it the installs are going to be helpful to you and your football team. This week we are going to begin putting the finishing touches on the Play-Action pass protection that we have been working on as well as finalizing the 3×1 passing game remodeling. We had a Twitter poll this week and the winner by a landslide were the coaches that wanted Varsity offensive trick plays so that will be coming at you on Friday. 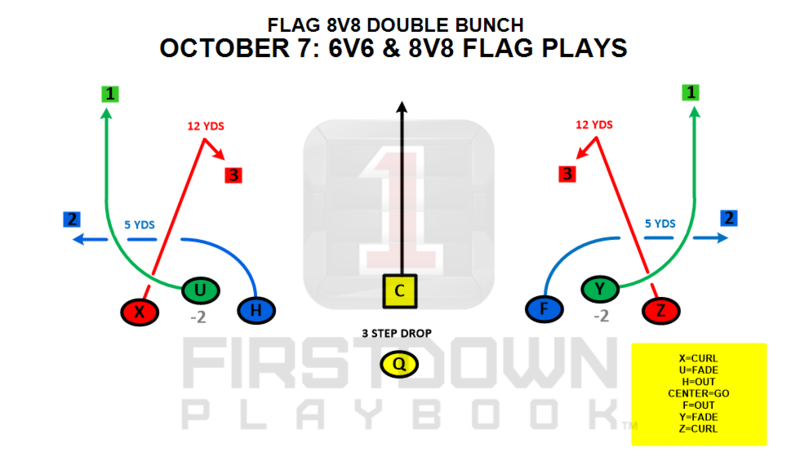 This weekend while many of you are focused on your tackle football teams FirstDown PlayBook will continue to chip away at the 6v6 and 8v8 flag football sections. We guarantee you that when we are finished, these two areas will be as comprehensive as the other flag football areas. Thanks for your patience! Well enough for now. Good luck this week and enjoy the installs! TWITTER POLL WINNERS GET MORE FDPB TRICK PLAYS! THE 8V8 AND 6V6 FLAG FOOTBALL AREAS CONTINUE TO QUIETLY GROW! 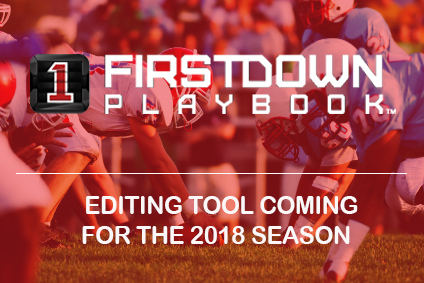 FirstDown PlayBook is the only Digital Football PlayBook that gives you access to nearly thirty thousand football plays, schemes and technique help and is the official playbook resource for USA Football and Football Canada! 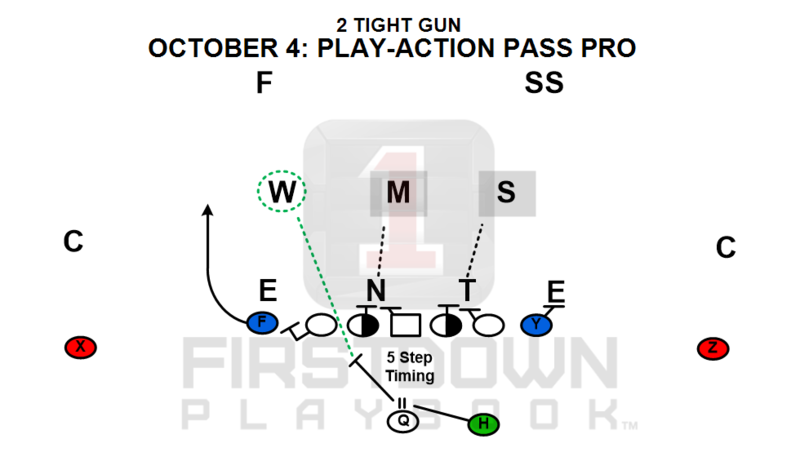 Only FirstDown PlayBook Insiders Know When We Offer Discounts.